As we get closer and closer to the real reveal of the BMW M2, a fan who knows photoshop really really well has done a great render of what the BMW M2 may look like based on the recent test mules that been seen all around the world, including the USA. 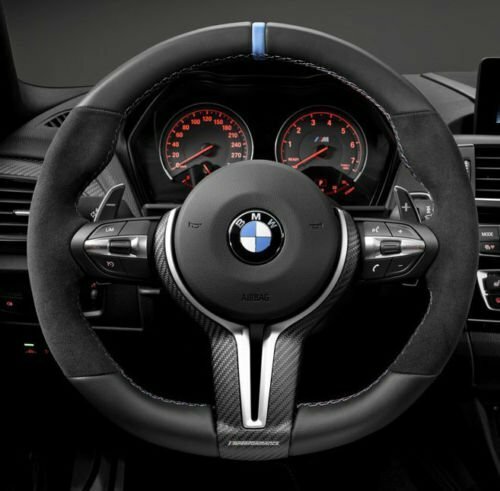 WildSpeed had his renderings posted on Bimmerpost and it shows what the front and sides may look like. While we are loving the flared fenders, not really sure about the batwings up front. As mentioned before, the specs on this car is going to be awesome. Smaller size and a little less weight then the current BMW M3/M4, this BMW M2 will be powered by the N55 Turbo Inline-6 Engine that will produce 365 hp and 343 lb ft of torque. It will also have a special overboost of 25-lb ft of torque at certain RPM ranges. Keep on following here for the latest news on the BMW M2.